Researchers also engage with the public through Living Well Oxford initiatives. 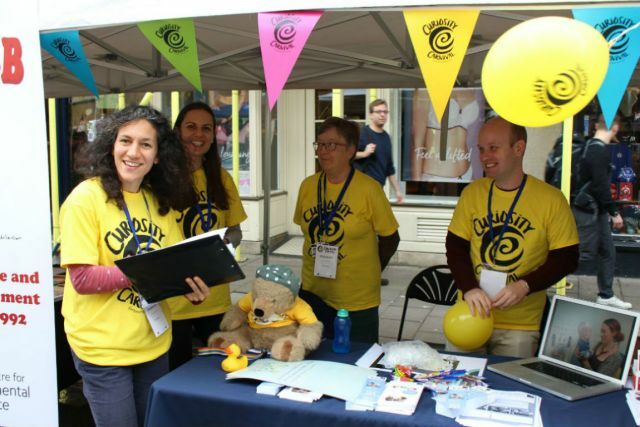 Living Well Oxford is a is a collaborative public engagement project between the Oxford Academic Health Sciences Network, Science Oxford and the Oxford Health Experiences Institute, and aims to support public understanding of health and healthcare in Oxford. 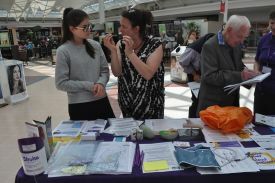 In 2017, researchers from nine departments took part in an event 'Ageing: From Birth and Beyond' at Templars Square Shopping Centre in Cowley to talk to the public about their research, and offer practical advice and information about ageing. For the MRC Festival of Medical Research, researchers go even further afield to take their research to the public in Oxfordshire, Berkshire, and Buckinghamshire. 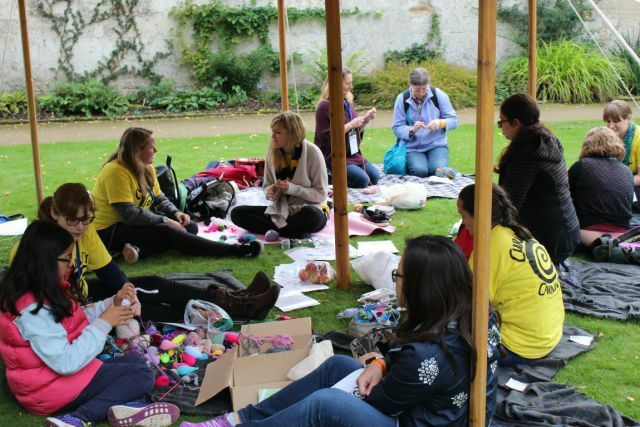 The Festival is an annual event where MRC-funded researchers showcase their work through public events and activities, and takes place in venues across the UK and in Africa. 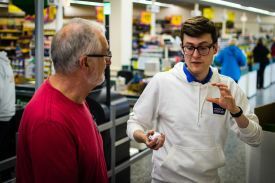 For the festival in 2018, researchers from the CRUK/MRC Oxford Institute for Radiation Oncology, MRC Human Immunology Unit , MRC Molecular Haematology Unit, and the MRC Weatherall Institute of Molecular Medicine visited local shopping centres for a series of 'Science in the Supermarket' events, using table top activities to explore the use of genome editing technology in cancer and immunology. Over the course of a week, scientists spoke to over 850 people in Newbury, High Wycombe, Aylesbury, Banbury, Witney and Swindon. From a short survey conducted during the week, 60% of the people who responded had never spoken to a scientist before the event, suggesting this was a promising location to carry out public engagement. Find out more. 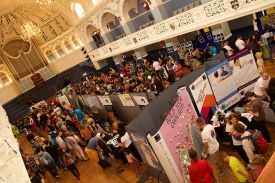 The Big Bang UK Young Scientists & Engineers Fair is the largest celebration of science, technology, engineering and maths (STEM) for young people in the UK - in 2018, over 80,000 people (primarily aged 7-19) visited the Fair's shows, workshops, exhibits, and information stands. Researchers from across the Division attend this annual event to get young people excited about medical sciences at Oxford. 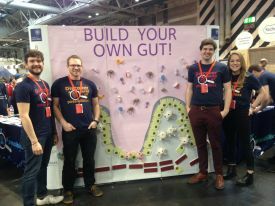 In 2018, researchers from the Department of Oncology, NDORMS, and the Wellcome Centre for Human Genetics (based in the Nuffield Department of Clinical Medicine) attended the Fair to engage young visitors with activities including knee models to demonstrate keyhole surgery, and a giant gut wall (left). Find out more. Groups from the Division have also been selected to showcase their research at the prestigious Royal Society Summer Science Exhibition, a free, week long festival celebrating the cutting edge of UK science. With over 10,000 attendees (mainly school and college students) the Exhibition is a great way to engage the next generation of scientists with medical research. In 2017, researchers from the Radcliffe Department of Medicine presented ‘DNA Origami: How to Fold a Genome’ at the exhibition to explore how a two-metre long DNA molecule can be twisted and folded until it fits into a structure smaller than the width of a human hair. In 2018, two research areas from the Division were represented at the Exhibition. 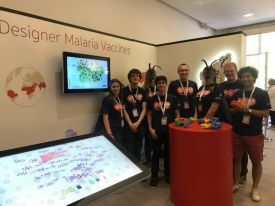 Scientists from the Department of Biochemistry and the Jenner Institute (left) collaborated to explore Designer Malaria Vaccines, while researchers from the Modernising Medical Microbiology Group used interactive games and innovative virtual reality for their 'Resistance is Futile' stand about the rise of superbugs. Find out more. As part of European Researchers’ Night, in 2017 the University of Oxford threw a huge event in the museums, gardens, libraries and streets of Oxford to celebrate and debate the way that research affects all our lives. Researchers from across the Division took part in Curiosity Carnival, organising over seventy activities that ranged from a Mad Hatters Tea Party to a lecture on claustrophobia – in a lift! Over 9,000 people attended the Carnival, which also targeted non-traditional audiences in Oxford through activities such as leaflet drops and offering free transport to the Festival from areas in East Oxford including Blackbird Leys and Rose Hill.